I was seriously lucky to be invited to the after party of Dior Pre-Fall 2015. I went with my friend Samantha from Letters Impromtu. She is such a talented person, and always fun to talk to! One of my favorite shots from the night. Look at that couple in the back! We spotted Susie Lau from Style Bubble! The show and the after party took place in Kokugikan, which is where there are sumo wrestling matches usually. 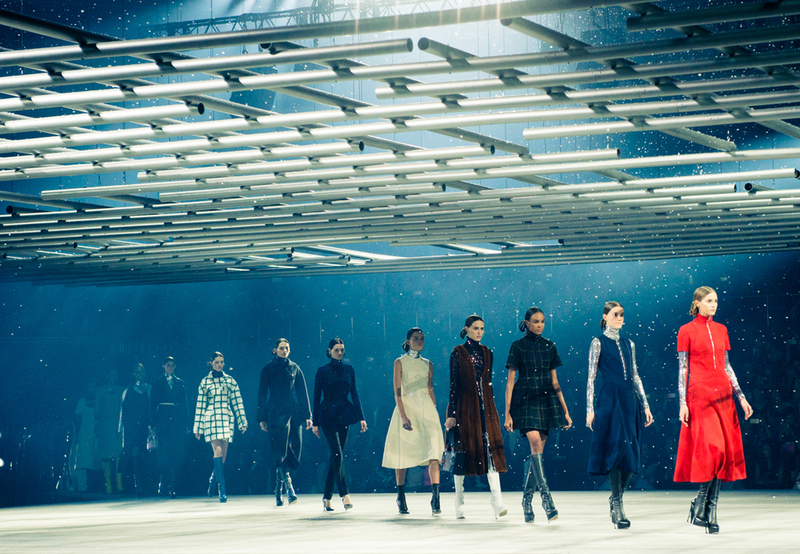 The place had turned into an amazing set with all of Tokyo's (and the world's) fashionistas. Too bad we could not see the collection! Looked like it was a phenomenal show.